The Personal Training program gives us the chance to personally work with highly motivated members. Our objective with mentoring is to help each student make money through Tax Lien or Tax Deed investing. The reality of making it happen is what makes our mentoring program so special. We do this by helping each student locate potential investments, research and evaluate their profitability. Once complete, our focus shifts towards helping the student monetize the investment. Our ability to guide the student through every aspect of the investment process is what makes our Mentoring unique. Don't take our word for anything! All the properties listed below have been purchased by our Coaching Students durring 2018... Learn how Stephen and Shade can help you get started buying Tax Lien and Tax Deed Properties and start doing DEALS! The Mentoring Program was built around the idea of helping a small group of members make money. With fewer than 10 openings total, we have to be careful about who we invite to join. Before someone can enroll for mentoring, we need to be sure that we can help them. If you're interested in Mentoring, CLICK HERE to schedule a Strategy Session. 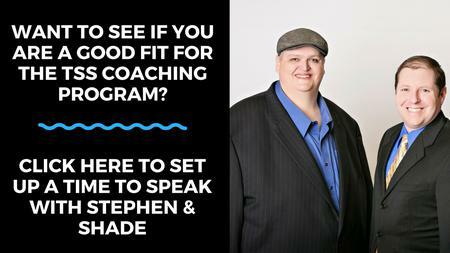 Stephen and Shade's Coaches have a limited amount of time which can be dedicated to Personal Mentoring. Due to limited time and strict time constraints, the availability of Personal Mentoring varies. If you need extra help to walk you step by step through the process then contact us now! If the Sign Up links are still available on the Mentoring Sign Up page, then we still have openings available. We look forward to helping you get started. Everything about you is unique. From where you live, to your goals, and finances, each variable makes you one of a kind. The purpose of mentoring is to get personalized help with your investing. Our objective with every mentoring student is to help them make money investing in Tax Liens or Tax Deeds. When you join the Personal Mentoring Program, you become part of a small group of investors that work directly with Stephen and Shade. Would you attempt to build an entire house by yourself? 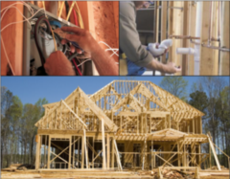 The majority of people lack the knowledge, time, and expertise necessary to build an entire house. Hiring a specialist to complete specialized work improves the quality of the final result, and the effectiveness of money spent. If you wouldn't build a house on your own, why would you try to invest in property on your own? 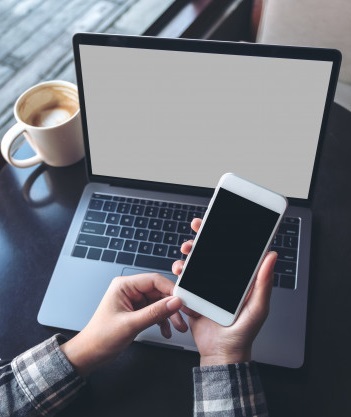 CLICK HERE to Contact Us and set up a Strategy Session to see if Coaching is the right fit for you!